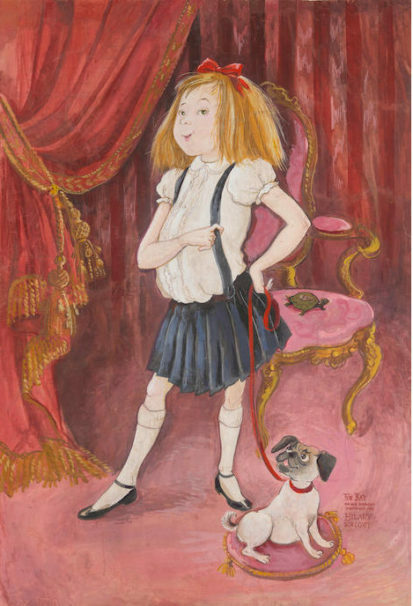 Toting a history as lively as its inspiration, this portrait of the mischievous overlord of the Plaza Hotel, Eloise, was painted as a birthday gift by Hilary Knight for his Eloise co-creator, Kay Thompson, in 1956. After displaying the work during her appearance on Edward R. Murrow’s “Person to Person” on CBS, Thompson then loaned the work to the Plaza Hotel where it hung in the lobby as an homage to their most famous (imaginary) resident. Soon it was all over the news, even Walter Cronkite confirmed it on the evening news: “The famed portrait of Eloise has been stolen.” The portrait failed to reappear. 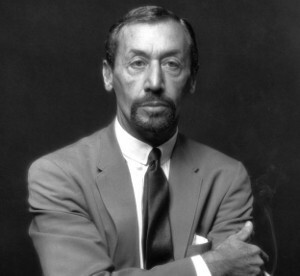 Some years later, Mr. Knight received a call: “The painting had been found in a dumpster, frameless.” It was returned to Mr. Knight, who had already replaced the Plaza portrait with a new one: an oil painting that still hangs there today. Mr. Knight rolled up the original and put it in his closet, forgetting about it for the next 50 years, until it was revived for an Eloise exhibition at the New York Historical Society 2017. 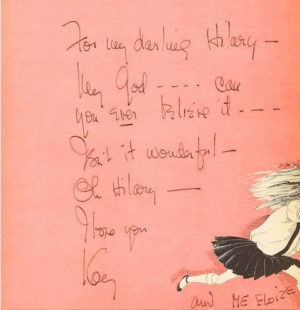 It is now being offered at auction, as well as this presentational copy of the book inscribed by Thompson, on December 5, Bonhams Fine Books and Manuscripts sale, The World of Hilary Knight featuring his original Plaza Hotel portrait of Eloise, (estimate: $100,000-150,000). ed. update: Eloise portrait fetched $100,000 at auction ~!